Leptis Magna was a prominent city of the Roman Empire. Its ruins are located in Khoms, Libya, 130 km (81 mi) east of Tripoli, on the coast where the Wadi Lebda meets the sea. The site is one of the most spectacular and unspoiled Roman ruins in the Mediterranean. To walk around there is nothing short of amazing. 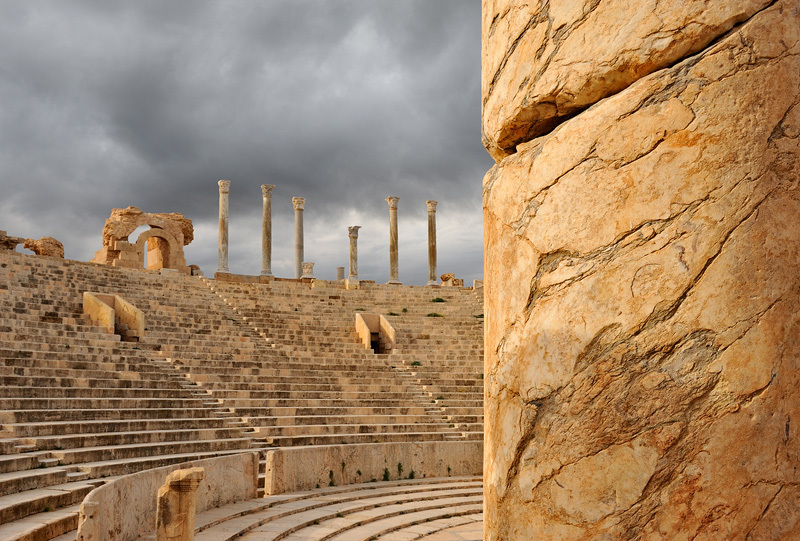 I shot this amphitheater with one of the columns in the foreground to create a sense of depth. The light conditions were magical.